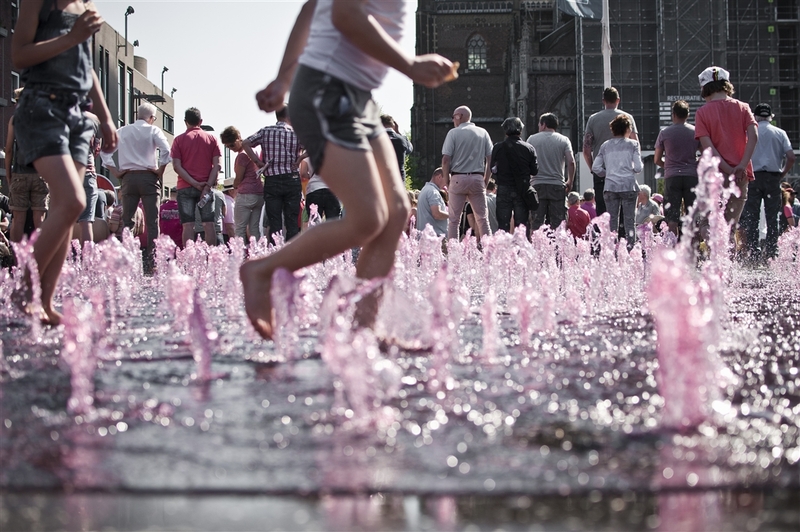 May 6/7/8 - Gelderland, the Netherlands, a so bike-friendly region and 3 amazing days for Giro 2016. And the same number of words that still tell me about it: Speed, Sound and Sun. 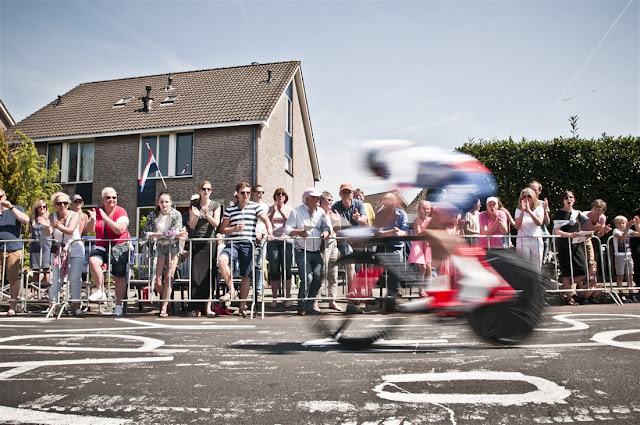 3 times S.
The Speed of the opening prologue, the Sound of thousands of roadside people, among crates of beer and loudspeakers playing music, the wonderful and unexpected Sun that soaked up the crowd. 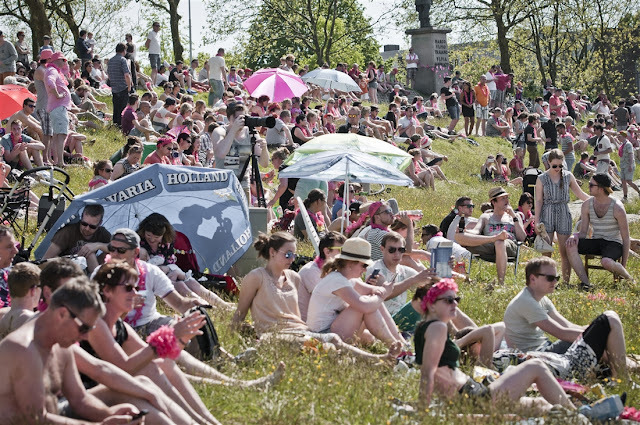 I tanned more 72 hours in the Netherlands than during all the next summer long, I would never have said that. I'll go on by mixing moments, not following a chronological order. Let's see where my memories will lead me back. 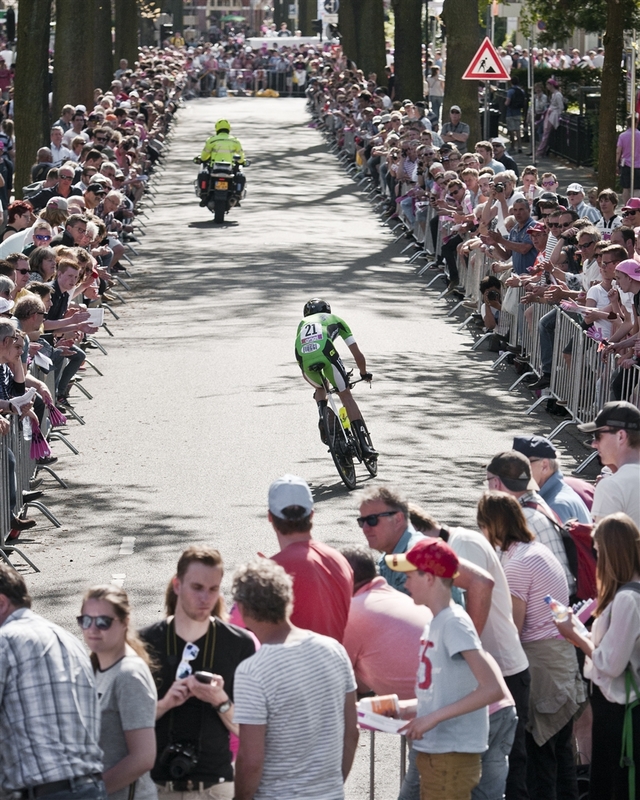 The first breakaway of Giro, by Giacomo Berlato. 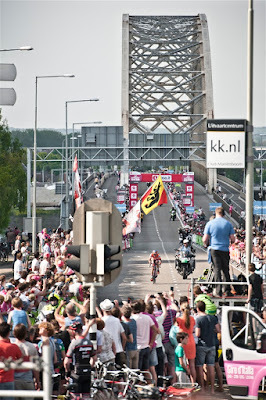 I was following stage 2 on a hill in Nijmegen, almost half a km from the finish line. A natural standing full of guys lying on the ground, of kisses, of Amstels, music and flowers. 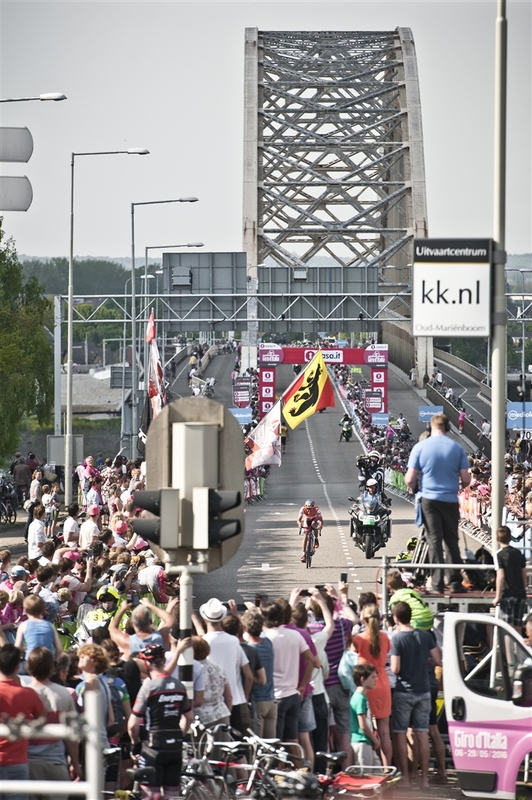 A gaze to the Waalbrug bridge brushed by wind and those always waving Flemish flags, another gaze to the finish straight, half hidden by a few trees. The first comer, pioneer, dreamer, Berlato. Those breakaways that would never finish ahead, for this reason even more fascinating. Those breakaways that, today, everyone already knows, broadcasted and watched live on every mobiles screen. No surprises on who will come first, no illusions on he will make it or not. Nijmegen in the evening, dressed by a sunset adding some more orange to what already stands there. 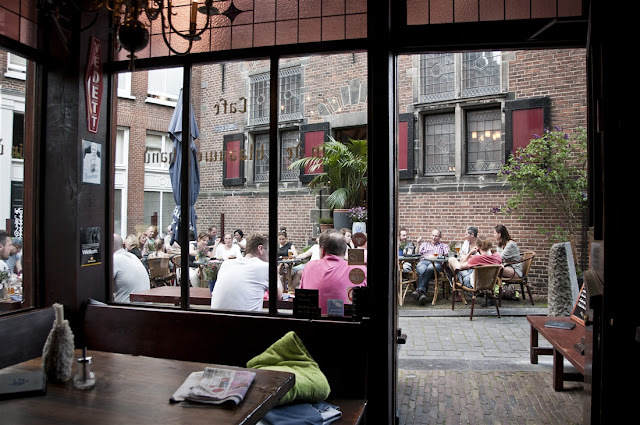 A café where beers and coffees flow together, newspapers snoozing on blankets ready for a cold that is away those days. The race is already gone, buses are leaving, everything gets slowly back to its daily life. A city that shows its beauty in its variety. 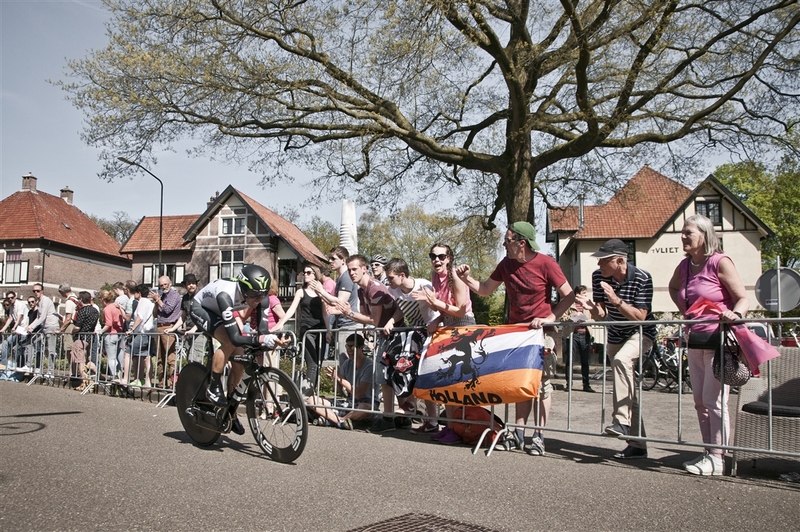 Fast as the wind blows, through the big snake tracked among Apeldoorn streets. A party around houses, gardens as they were new rooms for guests. One of the cycling days I'll bring with me for a long time. As common there, almost every house has got the national flag hung out of the door. 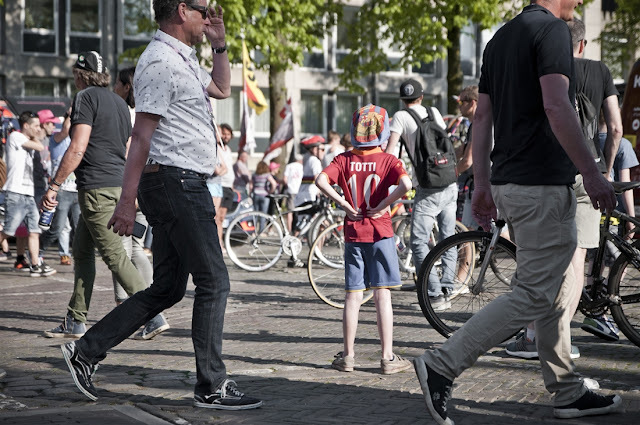 Kids wearing their football idols jerseys, the race that was real race, with a royal ending, hoped and dreamt, the win by home idol Tom Dumoulin. Arnhem, life flows quickly and a train whenever you need. Like the one I missed, cause of a tricky ticket. It doesn't matter, real adventure is when you come into incidents on your path. 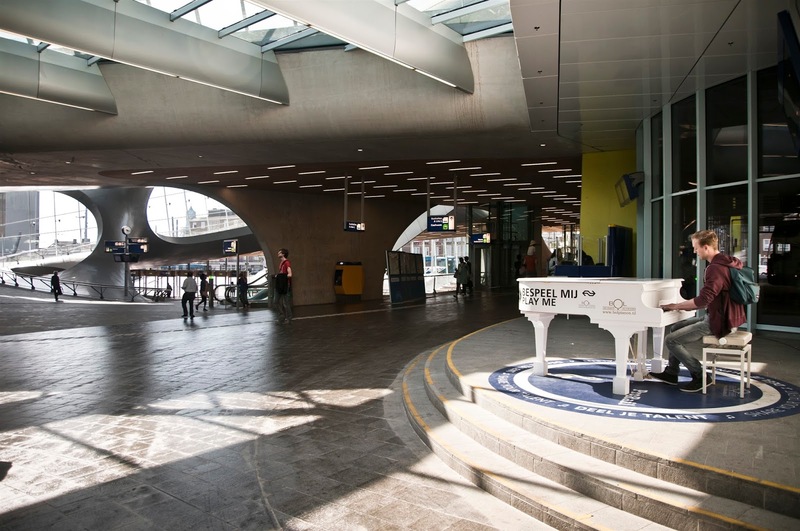 A human piano in a space train station, the 'business card' of a contemporary city. Train is a fundamental concept in the Netherlands, by the way it's always a bike, bigger and a bit faster. 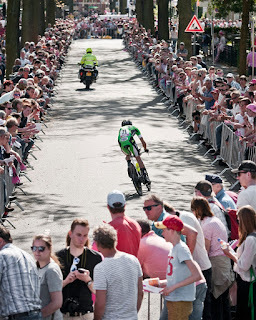 I saw and lived the Giro commuting life, met and met again people following the race thanks to trains. 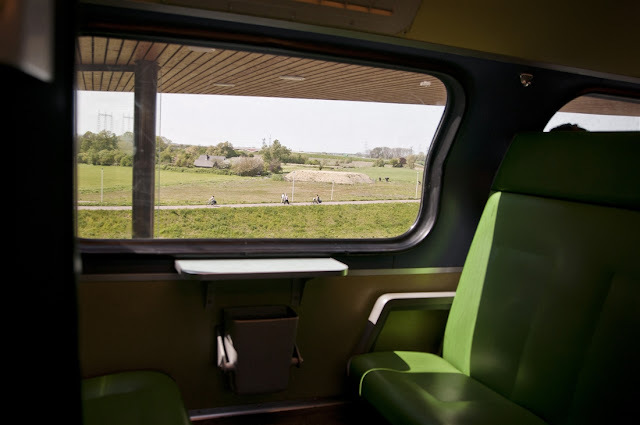 Trains where, on the windows, there's a suggestion to talk to your seat neighbours. Future in the past.